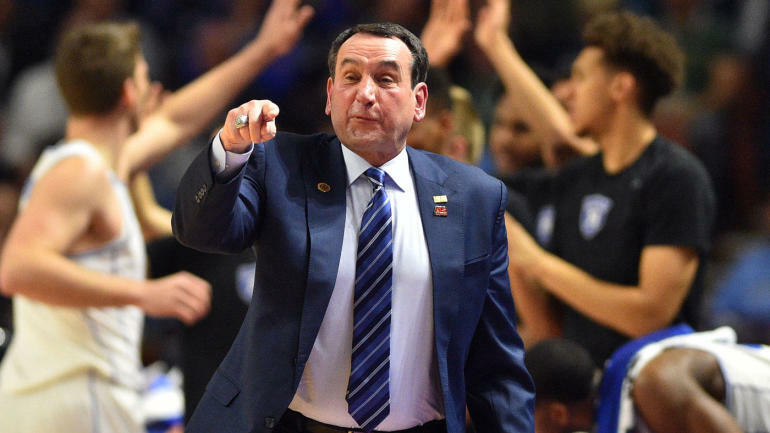 Topic: Who will replace Coach K and Williams? Who will replace Coach K and Williams? One is 68 and the other is 72. Hard to replace legends whether you like them or not. Maybe then the rest of the ACC will have a chance. Re: Who will replace Coach K and Williams? There are no obvious heirs apparent. When Dean Smith was old and nearing retirement, Roy Williams was already prestious at Kansas. Even though they gave it to Guthridge and Doherty first, it always seemed likely that Roy would come home at some point. Neither program have a coaching tree candidate out there of the stature Williams was at Kansas. Hopefully they’ll give it to people like Capel and Wojo and fail miserably. I doubt it. First they’ll want someone from “in the family”. Also, I don’t see Jay Wright, Mark Few, etc. leaving their current jobs to follow legends where they’ll never measure up in the eyes of their fans. family" stuff. It almost never works. And that really shouldn't be surprising - eliminating ~90% of potential candidates for no reason at all obviously diminishes your chances of hiring a great coach significantly. Steve Robinson the man, and the assistant coach for the Tar Heels behind Roy Williams who no one knows that well, or his journey. Self could be in trouble soon. I don't know if it will actually happen, but Kansas has been linked to the FBI/Adidas scandal multiple times. Re: Self could be in trouble soon. Hey wait a minute - if Self were to come to either UNC or Duke - his FBI/Adidas troubles would magically disappear in a heartbeat. Wes Miller from UNC G is being groomed. Needs to take the next step and win the So-Con again and win a tourney game. Jeff Capel at Duke if he build Pitt back. One rumor has Jon Scheyer providing a seamless transition but he has no head coaching experience. had poor to mediocre success in their previous jobs. Dawkins - 1 NCAAT in 8 years at Stanford and 1 in 3 years so far at UCF. Clemson fans want to fire Brad for making 2 in 9 years so how do you think Duke fans feel about a coach that has made 2 in 11 years? Capel - Had two good years (with Blake Griffin) at OU but was 8 games under .500 in his other three with the Sooners. VCU tenure before that was solid, but not exceptional. We will see how he does at Pitt, but his HC resume is very lackluster to be a candidate for the Duke job. Amaker - 1 NCAAT in 10 years at Seton Hall and Michigan. That's not good considering those are both pretty good jobs. He's had a pretty good run at Harvard, but his results there have fallen off a little bit since the 4 straight NCAAT's from 2012-2015. Not a bad coach, but this is the Duke job we are talking about. Hurley - He's made 3 tournaments in 6 years at Buffalo and ASU including two in a row now with the Sun Devils. He's more intriguing to me than the previous three coaches because he's a bit more of an open book. I feel like we kind of know what the other guys are at this point and none of them are Duke quality. Hurley has only been a HC for 6 years so he still has time to blossom into a great coach. Wojo - He's made 2 tournaments in 5 years at Marquette, but he has won a game in either of them and he's been noticeably less successful than Buzz Williams was in the same position. Buzz made the NCAAT 5/6 years at Marquette and made an elite eight and two sweet 16s. It's hard to make a case that Wojo > Buzz so why should Duke seriously consider him? I can pretty much sum this up by saying that NONE of these guys would even be mentioned as candidates for the Duke job if they hadn't played and coached at Duke under Coach K. None of them are qualified for that level of job and to be perfectly honest, i think it would be pretty foolish of Duke to hire any of them right now when there are surely more qualified candidates out there. most qualified of any of these guys, but he a) currently has an NBA job, and b) has a few skeletons in his closet. Taking this to mean you’re in the “not a fan” column. Coach K has parts replaced every summer. They've discussed his hips and knees, but having full access to Duke Hospital, they could be doing more than they make public. He will be there forever. Christian Latiner and Michael Jordan? You may not like them, but they meet your criteria for being legends. cutthroat backstabbing that will go on between Coach K's ex players who are now coaches to get that position. Maybe Hubert Davis at UNC. No idea at Duke. Rashad McCants is a lock to replace Roy W; they have a lot of history. Coach K but could change by that time. Most likely candidate to replace Roy is coachmac. DRad better lock up Brownlee long term. I see tobacco road calling soon. No I don't believe this, nobody ever comes after Brad. I doubt he'd ever - EVER go - but if either of those 2 schools were really smart, they'd offer DABO a 25-year guaranteed contract @ $35-million annually. He'd retire with multiple football Natties (Clemson) & 12-15 basketball championships.